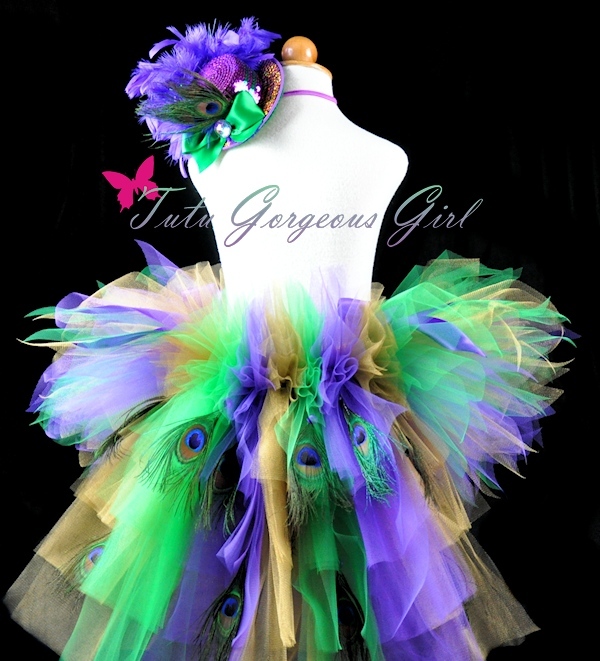 This stunning Mardi Gras inspired bustle tutu features emerald green, purple and shimmering gold tulle, and is accented with peacock eye feathers on the bustle. Two satin bows are tied on either side of the bustle. Bustle features two full rows of peacock eye feathers (10-12 feathers depending on size ordered). An extra row of feathers can be added to your order. *Mini top hat sold separately.